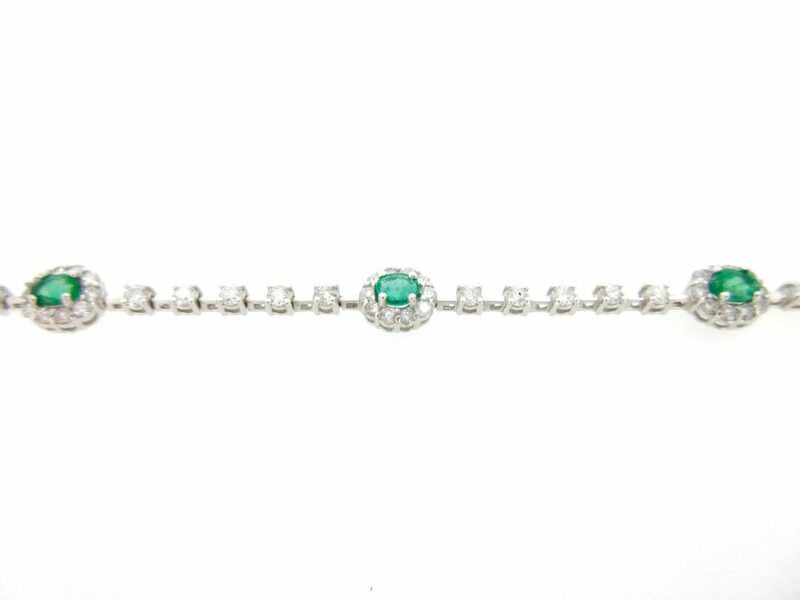 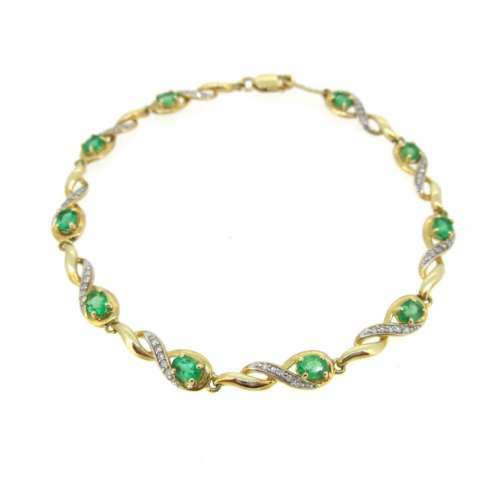 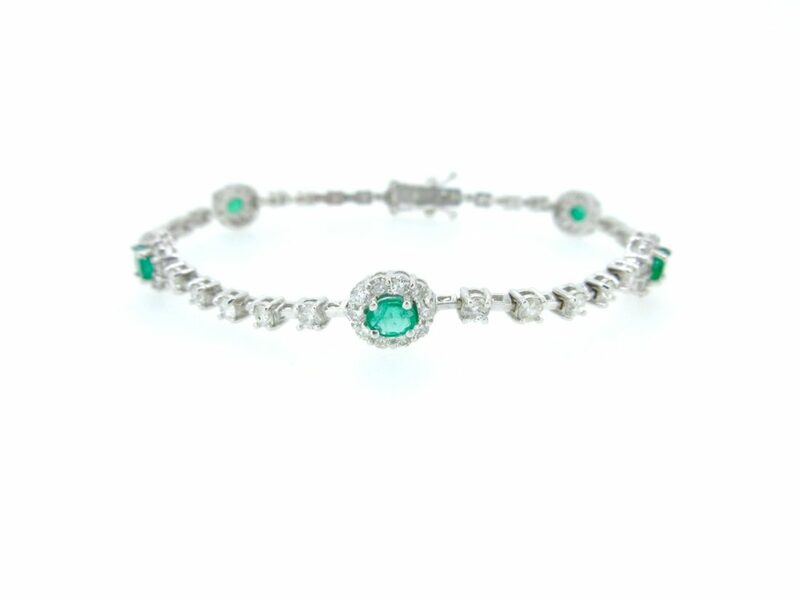 18ct white gold, emerald & diamond bracelet. 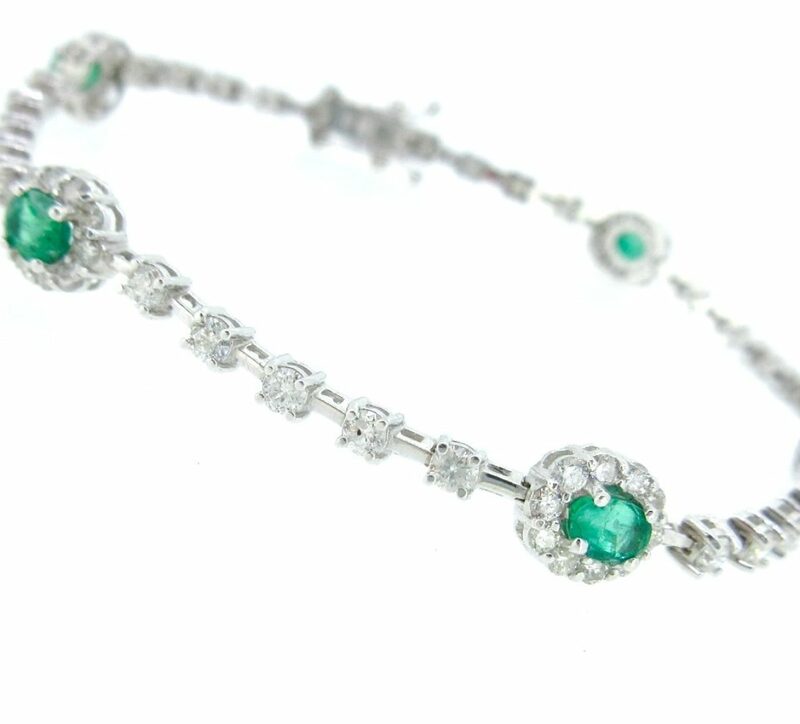 Five oval emerald & diamond clusters with five round brilliant cut diamonds in between. G/H colour, SI1 clarity diamonds, total 2.0cts.